I was always a fairly good student at school, as long as the task didn’t require creative presentation. Essays, tests, lab reports were all fine, but beautiful posters or creatively aged colonial diaries (let alone handmade costumes or weapons) were not my thing. To be honest, they were not really my family’s thing – I still have a vivid memory of my long-suffering father finishing the carving of a wooden Roman dagger, (or spear maybe?) that my brother was due to hand in the next day! The only one of these poster presentations I ever got great marks for was one where I wrote away (in a hand written letter as one did back then 🙂 ) and had a pile of colourful brochures and information sheets sent to me that I then cut up to cover my poster with: it was about sugar, so you think I would have got the hint! When we were studying the Middle Ages in history, I finally, (finally) had the bright idea that if it was ok to submit medieval hats, or shields, or model trebuchets, it should be ok to submit medieval baking. So I read all the books I could find in the local library, and learnt about the emphasis on spices and seeds, and how expensive sugar was, and wrote up and baked two biscuit recipes. It was the most fun I’d ever had doing school work! 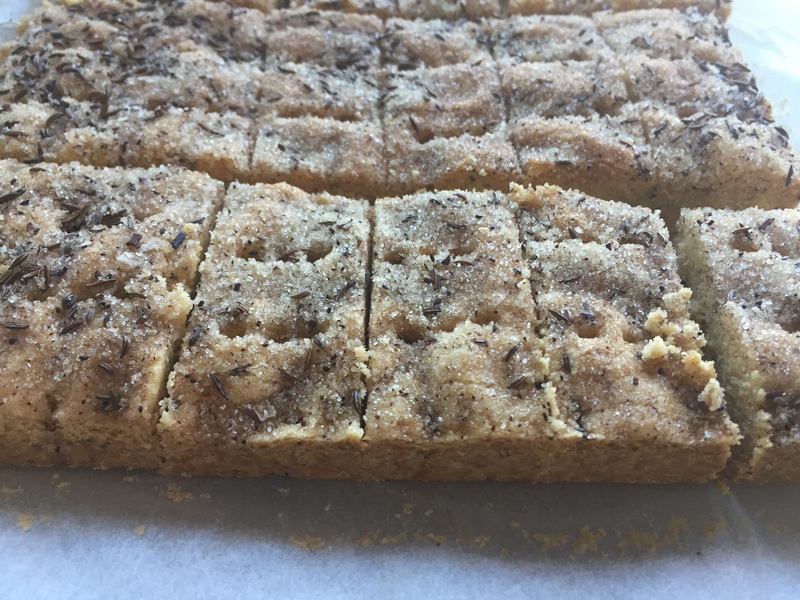 Both of these biscuits are quite heavily spiced – one a shortbread with a mixture of spices including caraway; the other small round biscuits with cardamom, lemon and currants. 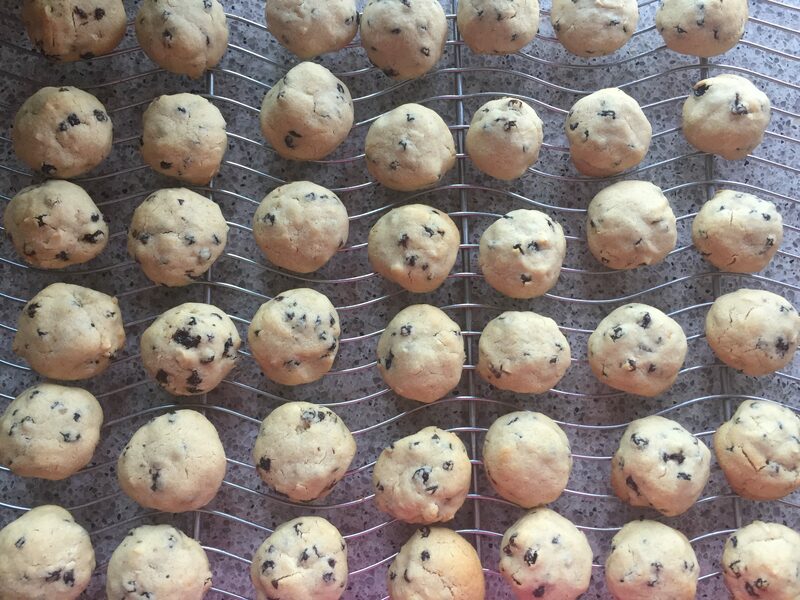 I can’t now remember whether they were originally supposed to be baked for any particular occasion, but they have become Christmas family staples over the decades since, and I bake them almost every year. Preheat oven to 170C. Combine sugar and spices in a small bowl. 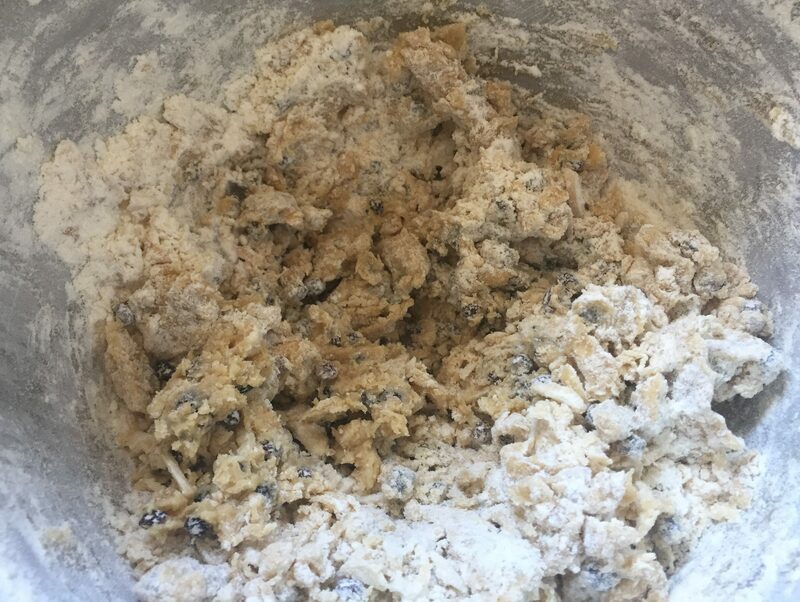 Combine flour and half spice mix in a medium bowl, and rub in butter (I use a stand mixer) mixing to a firm dough. Press dough into baking paper lined 20cm square pan and sprinkle over remaining spice mix, patting onto the dough. Mark into bars and prick with a fork. Bake for approximately 50 minutes to one hour until firm and yellow, or very light brown. Cool in tin and then break into bars and store in an airtight container – it should keep for a least a month. Cream butter and sugar until soft. Beat in egg. Mix flour with other ingredients, then beat into butter mix. 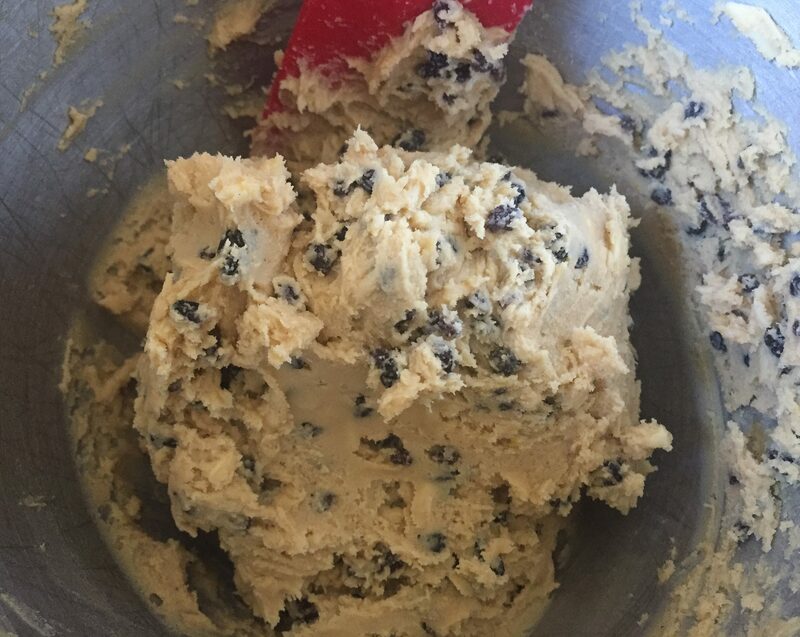 Form dough into a ball and chill for an hour. Preheat oven to 180C. 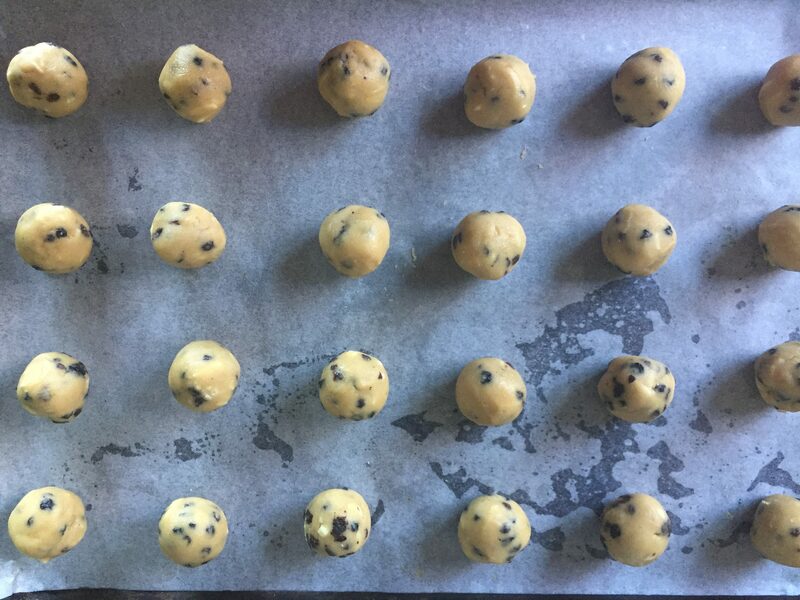 Roll dough into small balls (I use a 1” scoop) and place on baking paper lined tray. Baked for 8-10 minutes until just firm. They will still be mostly pale. Cool on a rack and store in an airtight container. That shortbread looks divine.Making that one next. I do love that story! And I always think caraway seeds do extraordinary things to food. I am going to try spicing up my shortbread this year! Thank You!!! Wow – I think that’s brilliantly creative. What a novel way to present a history project, and I’ll bet your teachers and classmates were thrilled. No wonder you got better marks! Can you please let us know where you found the original recipes?